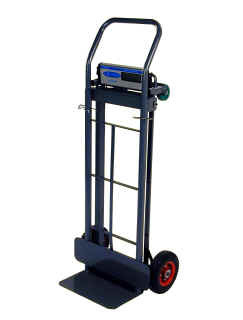 HTS-150 is a portable hand truck scale suitable for shipping, receiving, inventory control and parcel delivery service. 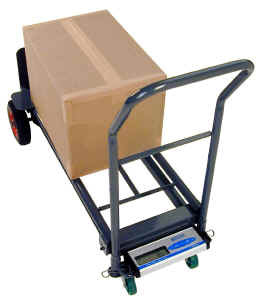 The HTS-150 utilizes a two-position hand truck modified to provide an integrated scale with a capacity of 330 lbs (150kg). The indicator is housed in a durable aluminum housing to withstand any warehouse atmosphere. It has a large 1-inch LCD display that makes it easy to view.